Recently, economic factors have made manufacturing outcomes and projections less clear: The result? Many manufacturers have had to make do with less—less supplies, less margins, less forecasting and less planning. As the premier provider of fluid applications systems and solutions, Designetics can help manufacturers navigate uncertain waters in a number of ways, focusing on providing efficiencies that, in turn, can help boost operating and profit margins and offer a way for all sorts of industries to succeed in turbulent times. For example, by providing applicators that accurately and efficiently control fluid for manufacturing components, Designetics reduces spoilage and supply chain waste. So, by reducing spoilage, manufacturers can decrease overhead associated with waste and production errors. Additionally, by employing Designetics’ automated dispensing equipment, assembly line workers can speed up production. This time savings can then mean reallocation of resources or increased production. And, there’s the potential for automation. 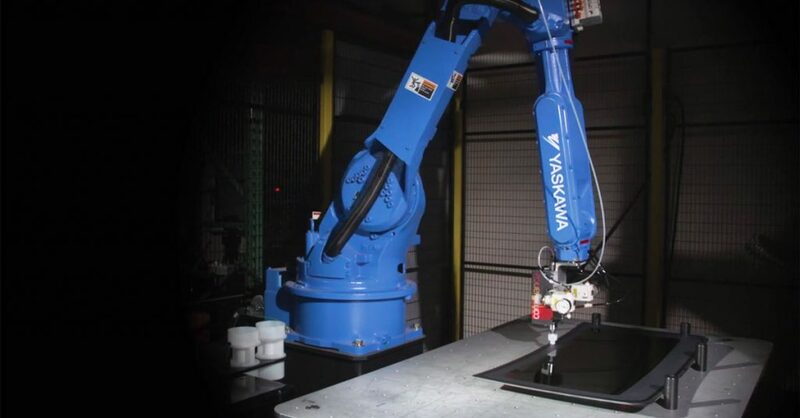 By using Designetics-based automated solutions, manufacturers can reduce costs via robotics or fully-integrated systems. This can help manufacturers weather market volatility. What’s more, Designetics engineers and staff can work with manufacturers to determine if more cost and time savings can be implemented with Designetics products.